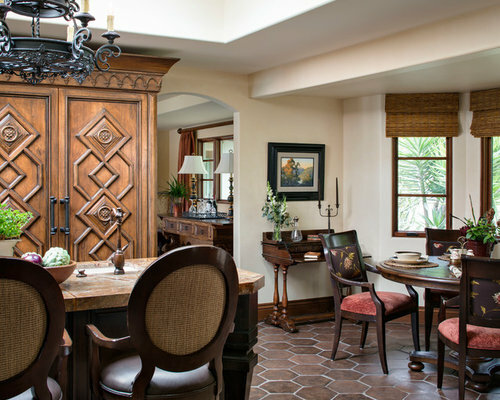 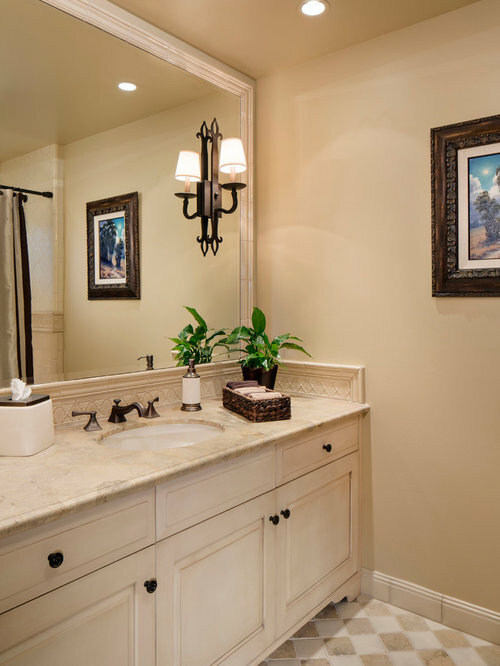 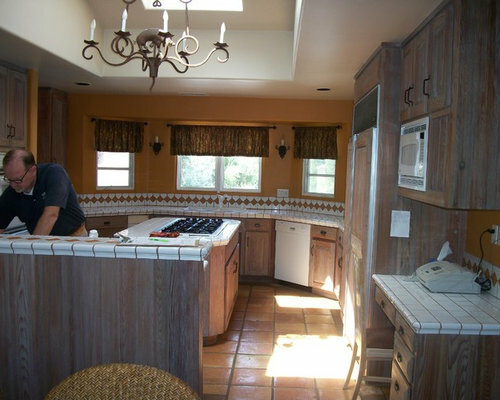 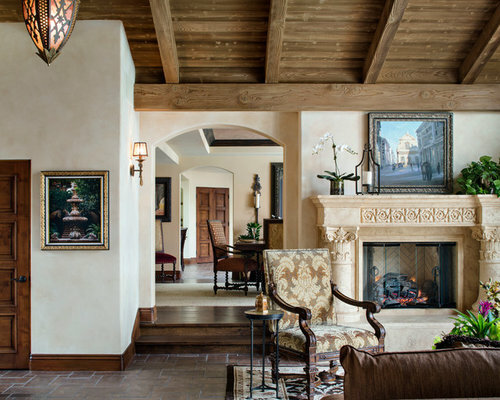 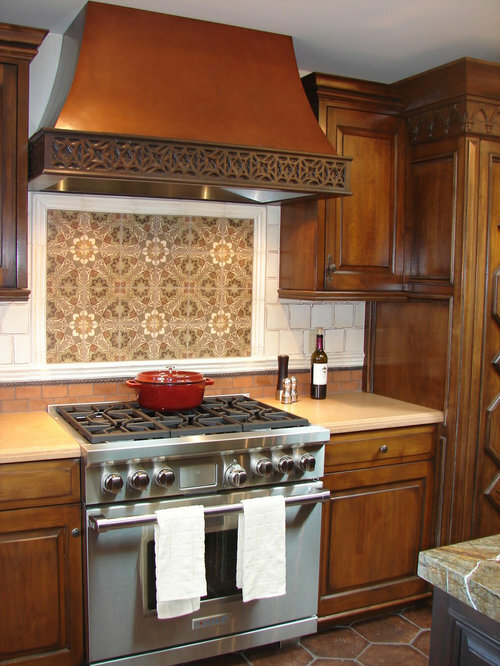 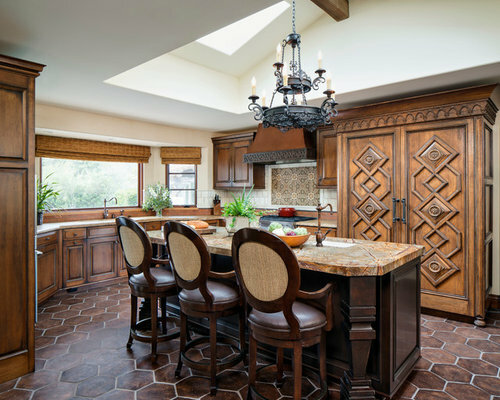 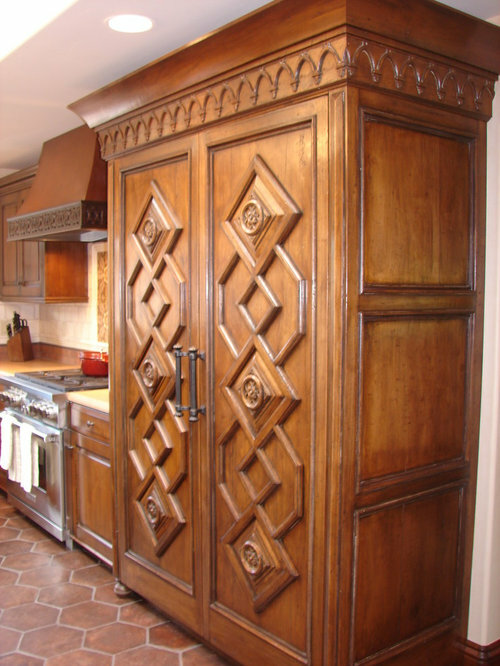 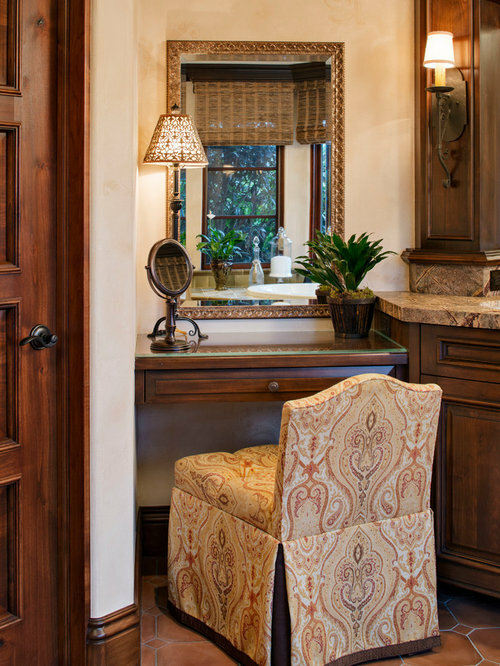 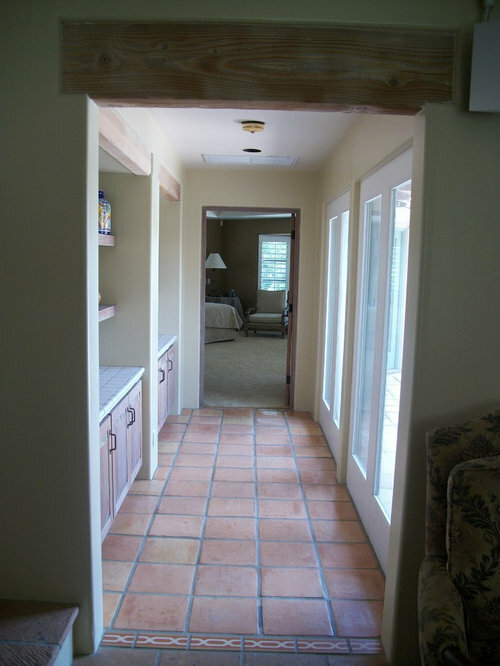 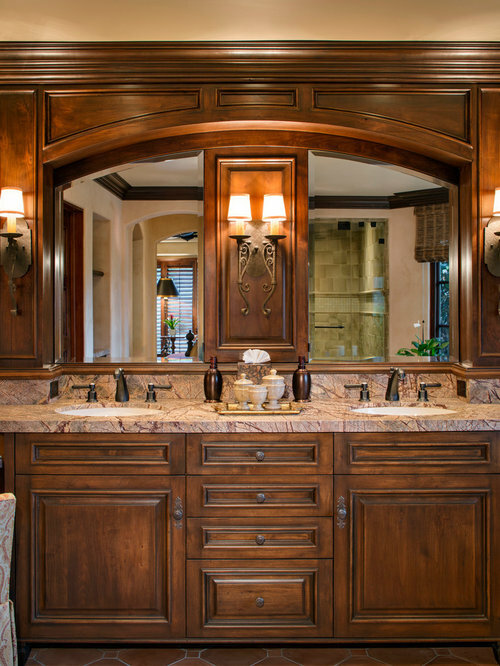 This home was a complete remodel and transformation from Southwest style to Spanish Mediterranean. 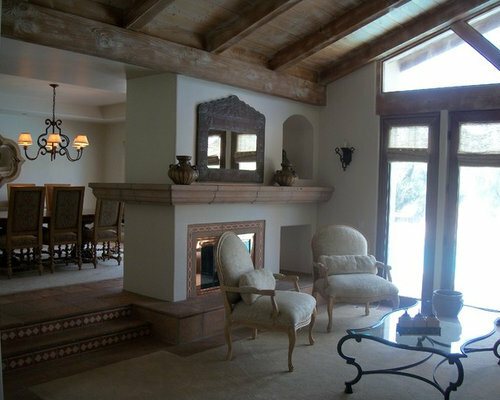 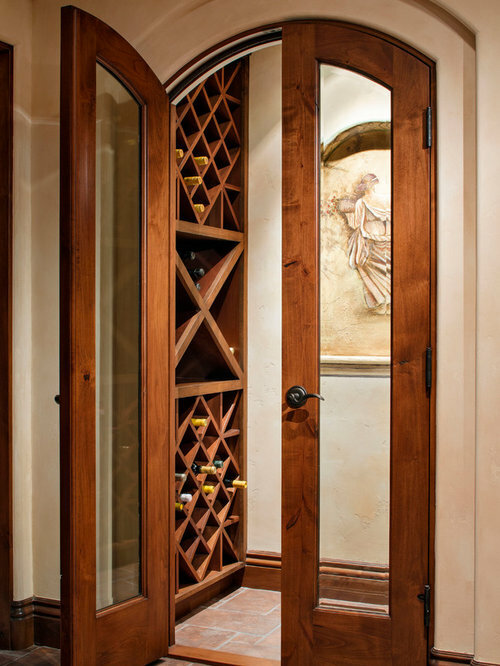 Services included interior planning, custom cabinet and finish design and drawings, material selections, custom motorized window treatments, architectural detailing and project management throughout the construction process. 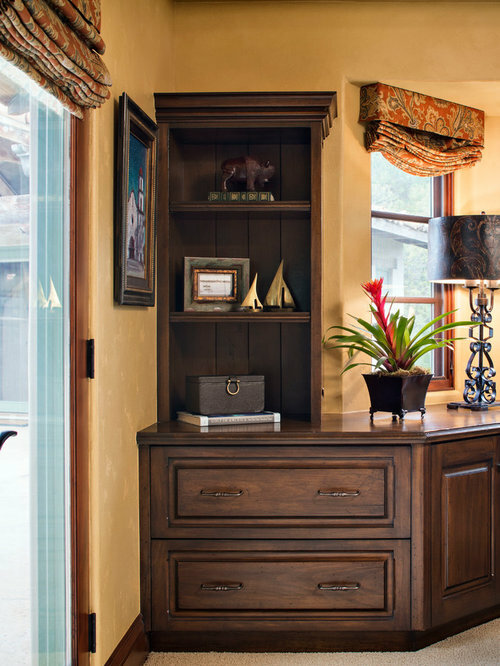 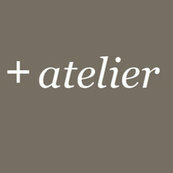 Furniture, decorative lighting and accessories by Irma Shaw Designs. 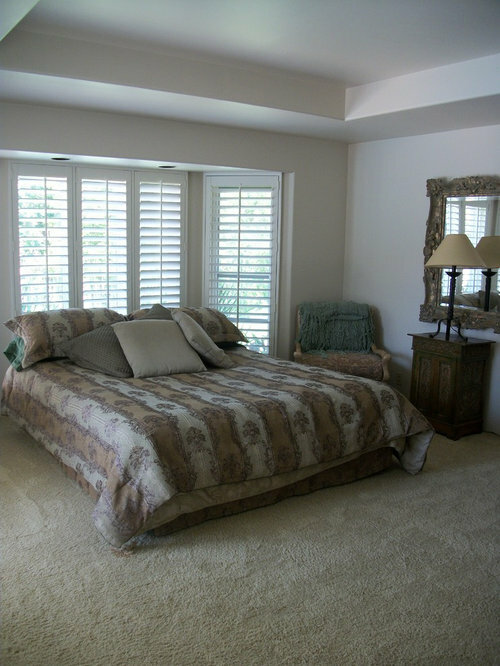 Hall to Master Bedroom Before photo.